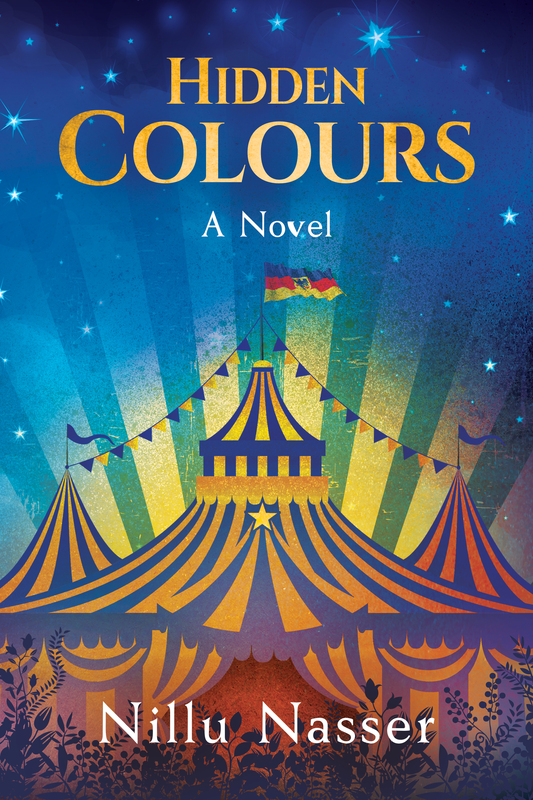 Those of you who follow me on social media may have heard me talk about Hidden Colours, my next literary fiction novel. It has now seen my wonderful editor’s magic pen and is due to be released in early December. I’m so excited and nervous to see it make its way in the world. Hidden Colours is the story of Yusuf Alam, a Syrian acrobat, and Ellie Richter, a German journalist. It’s set in a circus in Berlin. A circus–filled with outsiders, dreams and danger– is the perfect metaphor for Yusuf and Ellie’s story. Here is the cover by Dale Robert Pease, who also did the cover for All the Tomorrows, and is brilliant at interpreting and improving my ideas. I hope you love it. Let me know your thoughts in the comments. In a city that thrills like a kaleidoscope, refugees struggle to rebuild the rubble of their lives. As tensions rise and with the circus at risk of closure, Ellie must convince her readers that we can have compassion for those we fear or Yusuf will be forced to uproot again. There’ll be more to share with you before publication, including secret snippets of Hidden Colours and the song my singer songwriter friend Lindsay Crichton has written for the book. I’m thrilled that Advanced Reader Copies are now ready. If you’d like to be in my Reviewers Club then apply here, and you, and sign up here to be first in the loop with book news. If you have anything particular you’d like to see in the launch period drop me a line. It takes a community to make a book fly, and I hope you’ll be right here with me.